Now that FairSplit has been live for more than a year and used by many families and couples to eliminate animosity among heirs, this specific feedback: “I have no idea how we would have done this without FairSplit!” comes repeatedly from those that had obvious and known conflict heading in. In those cases, FairSplit served as the needed buffer, the independent and unbiased platform needed to get from hundreds of items to divided fairly and without the face to face negotiations and posturing for advantages that can fan the fires of existing conflicts or animosity. It is not to say that the families who were just separated by distance, or who thought they would have no issues but just needed and wanted a format and system haven’t liked it. They have. However, when things go smoothly and no conflict arises, it is impossible to know or appreciate what emotional minefields might have been avoided. Even though estate expert and author Julie Hall, known as “The Estate Lady”, says eighty percent of the families she works with think they won’t have conflict, and eighty percent do end up with conflict, resentment, etc. It is hard to appreciate “dodging a conflict bullet” if no one sees the bullet coming or passing. Like the famous question, “if a tree falls in the forest and no one hears it, did it make a sound?” If a family gets through the division using FairSplit with no conflict, did it help avoid inevitable conflict and resentment, or did it just provide a smooth process to a division not headed toward conflict? In any case, since our client families have been happy, so are we. It has been very rewarding working with those families with the strongest conflicts, most impossible relationships between heirs, and helping them get to fair divisions with far less time and discord than had been expected. Or helping three generations, half-siblings, step siblings, all heirs of differing rights get to a process all can agree is fair and works. 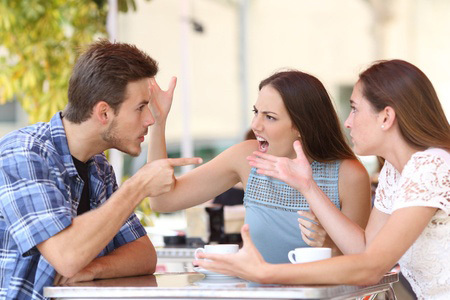 It has been very gratifying seeing FairSplit serve as the equalizer in divorces where one party may try to bully the other into acceptance, when FairSplit places the power in the process, not the individuals.